There was a time when stories of war and the soldiers who fought and died in them were an all-conquering leviathan that dominated the British comic industry and ruled it with an iron fist. It was a time when the likes of Commando, Battle, Warlord and Action consistently outsold their super-powered science fiction counterparts, when fandom would rather read tales of courage forged on the field of conflict than be whisked into space alongside costumed crusaders defending the Earth from alien invasion. Slowly but surely though, tastes changed and the war stories that had fired the imaginations of generations of comic fans faded into obscurity while the popularity of superheroes surged. Barring a series of reprints and re-issues of stories from that era, comics that celebrated the bravery of, and told stories about, the reluctant warriors ensnared in theatres of conflict became a niche genre. 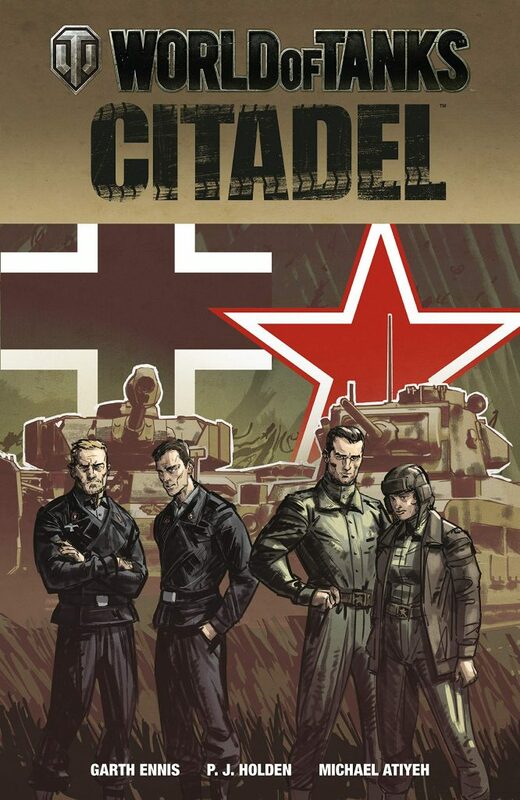 But all genres have their champions, their leaders and acclaimed proponents and Garth Ennis has become the foremost writer of four colour war stories, and Citadel is the latest chapter in his ongoing World of Tanks series, which is loosely based on the widely popular online game.